Extra thick, eco-friendly, premium yoga mats designed exclusively by Nora Day. 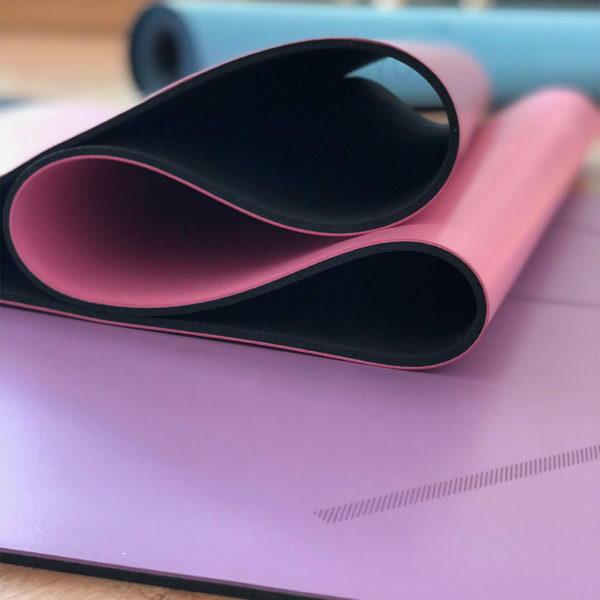 Yoga mats are available in pink, blue, and purple. 100% Latex Free, 100% PVC Free. I’m so excited to share my beautiful Yoga Mat with you! I remember starting yoga with a cheap mat. It was thin, slippery and would break down over time. I realized the mat was holding me back. I wanted a mat that I could trust and count on to support me. 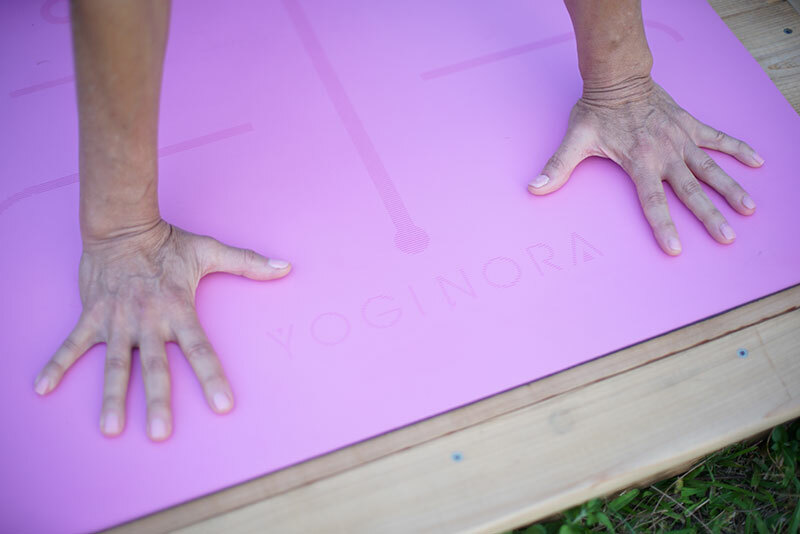 That’s why I created the premium Yogi Nora Mat. 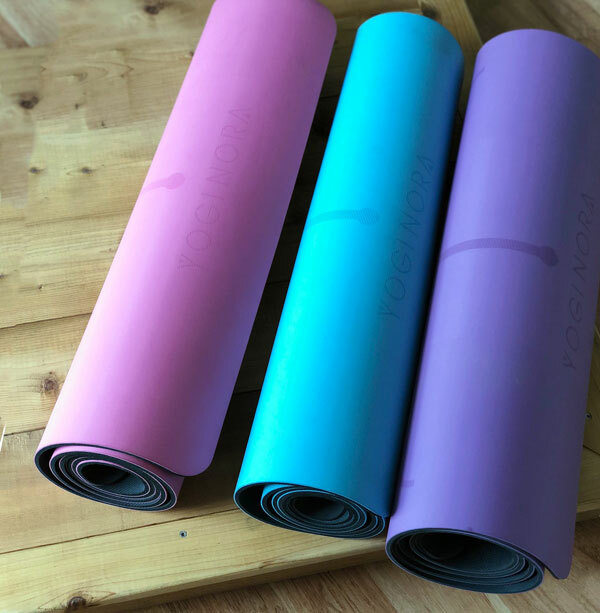 A yoga mat is your equipment. 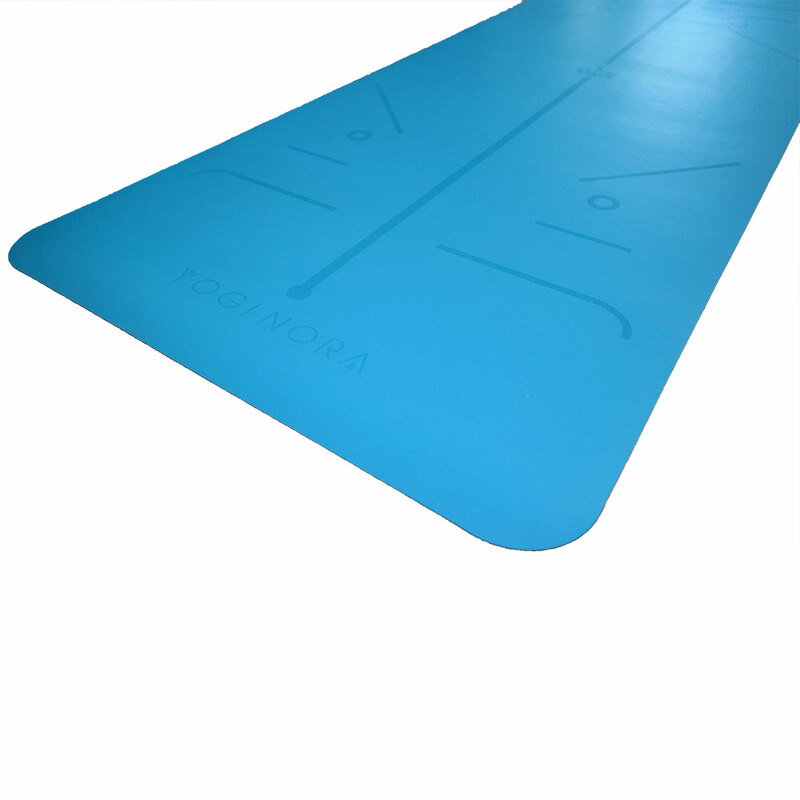 Just like a professional basketball player needs the best sneakers, when you practice yoga you should have the best mat. Your mat is the #1 priority for a solid, consistent practice. Over the years, so many students have asked for mat recommendations. I would have a difficult time answering because I was still searching for the best mat. This is why I created my own! 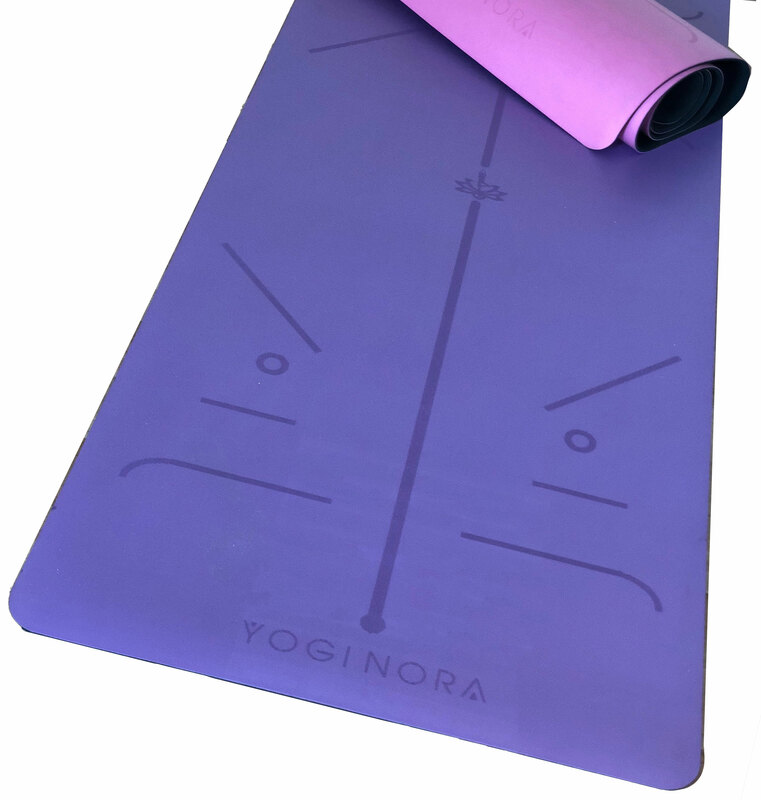 My Yogi Nora mat has everything that I look for in a mat. It is the mat of all mats and I am so thrilled to share it with you! Keep scrolling to discover why! I have designed this mat for extra comfort stability. After all, you are working hard and so should your mat! 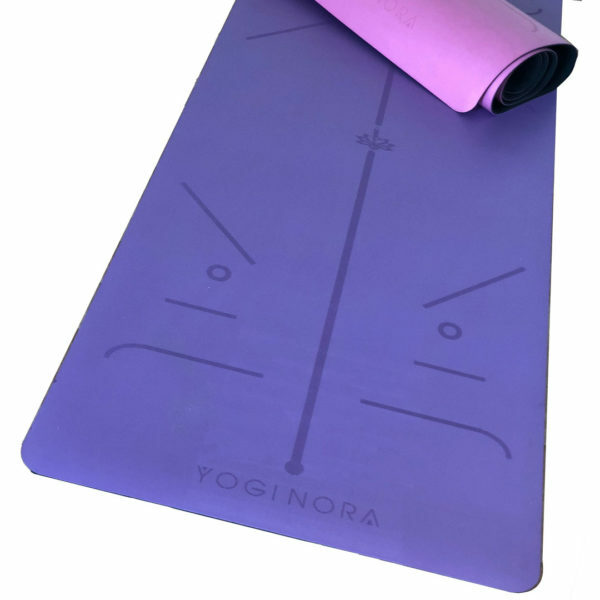 You’ll love the extra cushiony feel of this 4.2 mm thick yoga mat. The natural rubber coating provides impressive grip and support. The Yogi Nora mat is a bit longer and wider from other mats, giving you even more room to spread out. 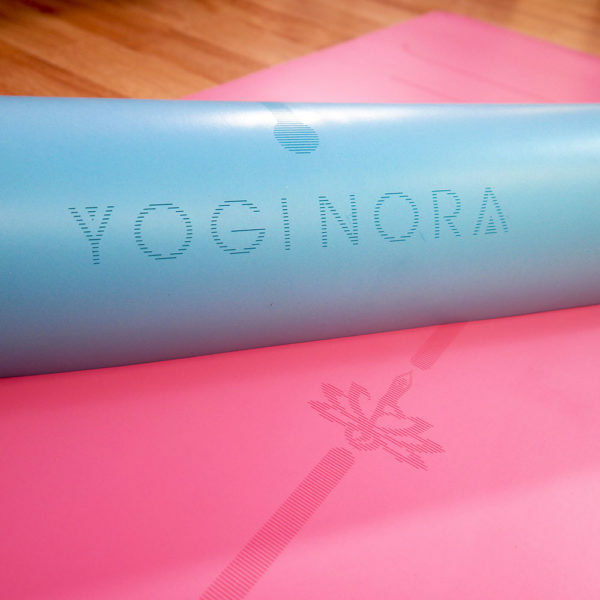 You will love the thickness of the Yogi Nora mat. You can really dig into poses and still feel supported. AND one of the biggest improvements is the non-slip factor. 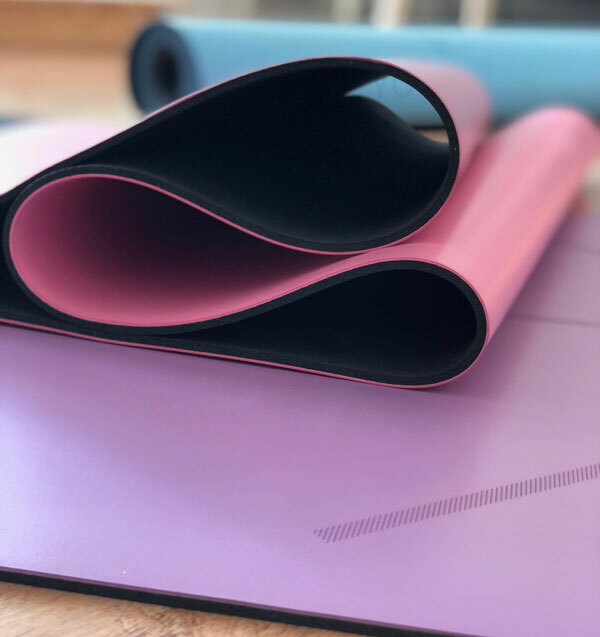 It is made with an eco-friendly, non-PVC top layer that is super absorbent to sweat, and gives you confidence that your hands and feet are not going to slip; even in the most challenging poses. I’ve chosen 3 colors: Pink, Purple and Blue. Pretty much, all of my favorite colors!! For many years I practiced on a black mat but now, I like colors! I step on my mat with a smile, I am always happy and calmer to practice on pretty colors! How to Clean Your Mat: Since the top layer is designed to wick away sweat, the only thing needed to clean your mat is a damp cloth. I never use any cleaning product, even if they are natural. I don’t want to strip the top layer off. How to Store Your Mat: If you have a practice space at home, you can leave your mat rolled out, and let it air out. If you need to take your mat with you, flip your mat over, so the top of the mat is facing the earth. 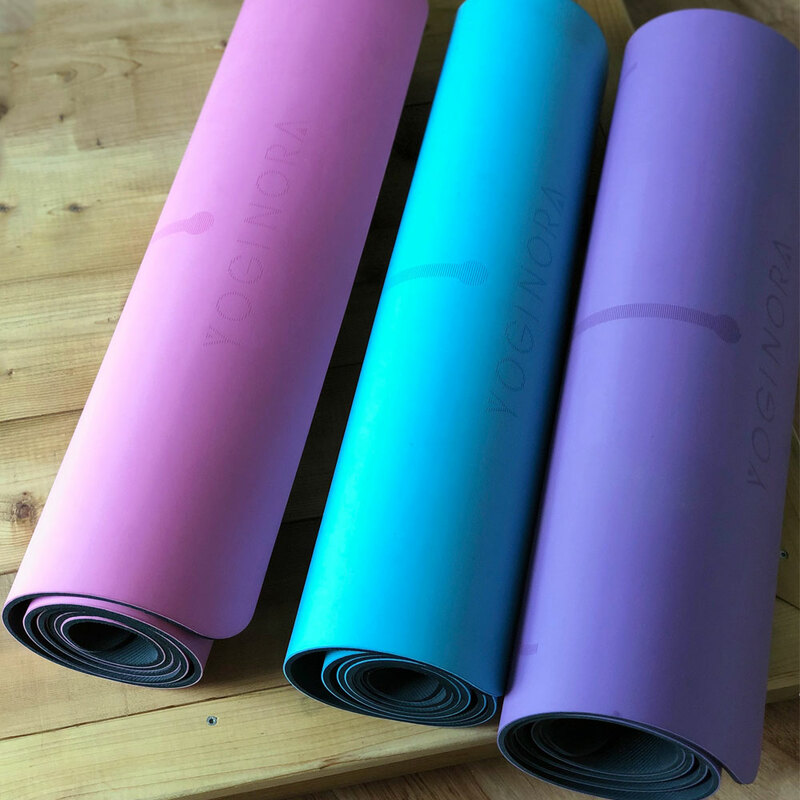 Roll your mat snuggly, and store in an airy room, that gets fresh air.